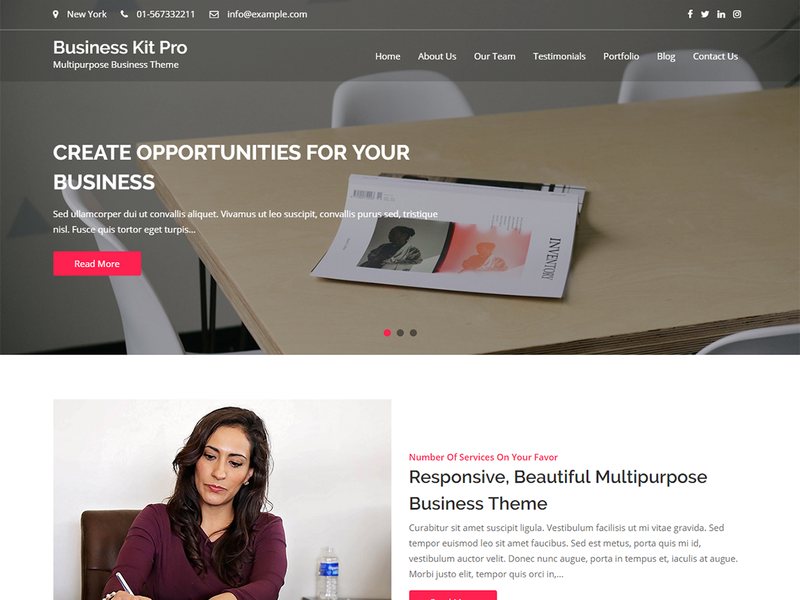 Business Kit Pro is multipurpose responsive, customizable and powerful professional WordPress theme. It can be customized easily in few clicks using live customizer. Business Kit Pro comes with a full-width slider, easy option to add logo and favicon, custom widgets, full-width template and more. It is a search engine optimized theme which performs best in google, bing, yahoo or any other search engines. This theme is suitable for all type of business, corporate, portfolio, digital agency, blog or any creative modern looking websites.